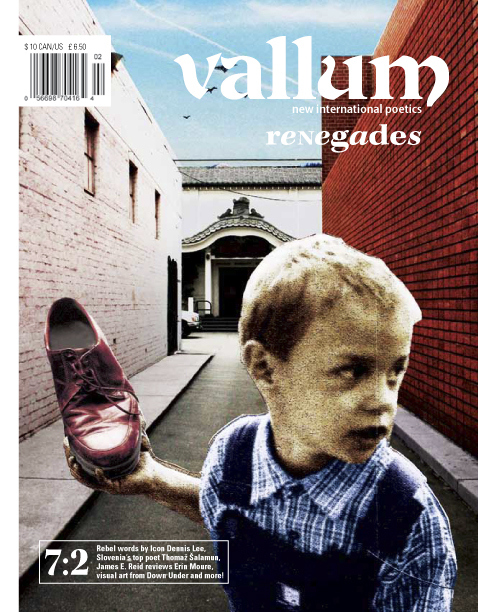 Founded in 2000 and based in Montreal, Vallum magazine is published biannually. Vallum provides a forum for emerging artists to interact with more established figures while giving them exposure and the confidence to continue with their art. 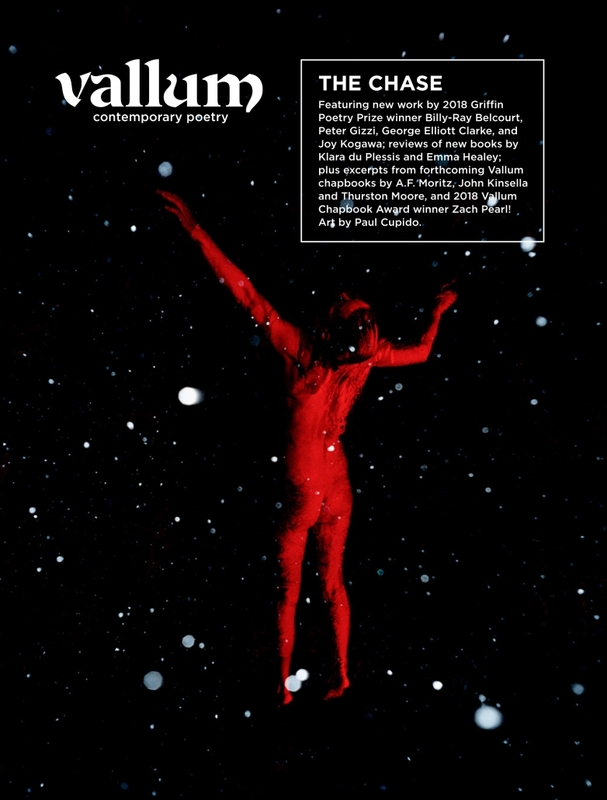 As one of Canada’s top poetry journals with an international focus, Vallum encourages dialogue between Quebec and the rest of Canada and allows Canadian artists to exchange ideas with acclaimed and emerging artists from the United States, Britain, Ireland, Australia, India and other countries around the world. For this Organization Spotlight, publicist Rosie Long Decter speaks on behalf of the Vallum team. Can you introduce a bit of Vallum’s history? How was the publication founded? 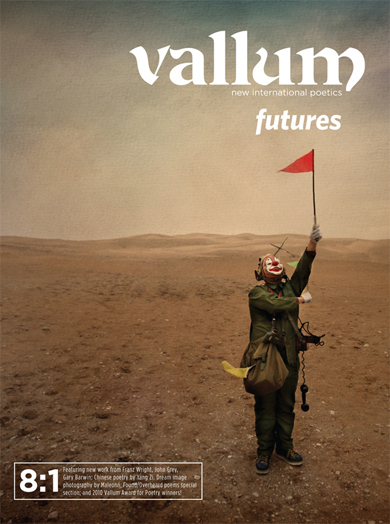 Vallum was founded by poets Eleni Zisimatos and Joshua Auerbach in 2000. They both graduated from Concordia’s Creative Writing program and saw a need for an English-language poetry journal in Montreal. In 2003, the organization expanded beyond the magazine to organizing poetry workshops in local schools – these workshops grew into the outreach program Poetry for our Future! which now offers 35-40 workshops across the city each year. The same year, the organization was incorporated as the Vallum Society for Education in Arts & Letters (VSEAL), a registered charity publishing Vallum magazine and holding poetry/literacy workshops in Montreal and beyond. In 2005, VSEAL launched the Vallum Chapbook Series, which publishes two chapbooks each year, and whose authors include George Elliott Clarke, Nicole Brossard, Fanny Howe, and more. Today, we continue to publish two issues of Vallum magazine and two chapbooks in the Vallum Chapbook Series per year, as well as coordinating city-wide outreach workshops. The current managing editor in charge of operations is Leigh Kotsilidis. How would you describe Vallum’s place in Montreal’s literary community? What events are you involved in or do you organize? Are there other literary publications, societies, networks, or spaces you work with, whether in Quebec or elsewhere? 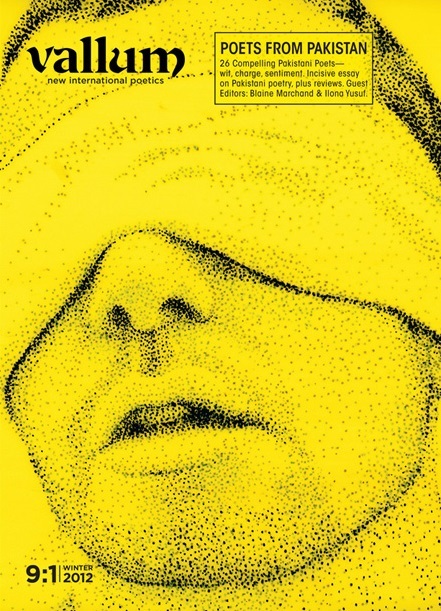 As the publisher of Montreal’s only English-language journal dedicated to poetry, VSEAL strives to support local poets while also fostering connections with the broader literary and arts communities across Quebec and Canada. We have partnered on events and projects with a range of local arts organizations including the Quebec Writers’ Federation, Maisonneuve Magazine, and the Atwater Poetry Project. In addition to publishing Vallum: Contemporary Poetry and the Vallum Chapbook Series, VSEAL regularly hosts and participates in events designed to support the local and national writing communities – last year, for example, we co-presented a panel on chapbook publishing, alongside Baseline Press and Anstruther Press. We also organize readings, launches, and pop-up shops at cafes around the city. Our outreach program, Poetry for our Future!, further connects us to a wide range of arts and community organizations across the city. The Poetry for our Future! workshops emphasize the importance of creative writing as a means of self-empowerment and community-building; in bringing together established poets and local non-profits, these workshops build connections between communities, aiming to expand and strengthen Montreal’s literary community as a whole. Some of the outreach partners listed on your website include: South Asian Women Community Centre (SAWCC), Perspectives II Outreach High School, Project 10: Projet 10, Chez Doris, and the Laval Penitentiary. Can you talk a bit about these partnerships (and any others!) and how Vallum has collaborated with these partners? VSEAL’s outreach program, Poetry for our Future!, began as a series of workshops at Lasalle elementary school in 2003. Now, over 15 years later, we provide 35-40 poetry workshops each year for children, youth, and adult learners across the city. Our workshops are primarily for participants from underserved communities. Each workshop pairs an established, local poet and educator with a partner organization – poet Greg Santos, for example, teaches workshops at adult learning centre Reclaim Literacy. Jessica Bebenek facilitates workshops at Spectrum Productions, a non-profit for children and adults on the autism spectrum. By partnering with organizations like Reclaim, Spectrum, SAWCC, Chez Doris, and others, we’re able to ensure our outreach workshops are reaching a wide range of participants, and that each workshop is tailored to those participants’ needs. Our partnership with women’s shelter Chez Doris goes all the way back to 2008, which means we’ve had over a decade of developing workshops and approaches that work for Chez Doris’ community. We’re also continuing to establish to new partnerships with local organizations – this year, we’re excited to be planning workshops with Native Montreal. Our outreach program aims to inspire, spark new talent, empower, strengthen communities, and to bridge demographics that might not otherwise have the opportunity to engage with one another. The workshops are committed to creating an approachable, educational, recreational, and safe environment for poetry to flourish. Can you talk about some of the poetry workshops you’ve hosted? What has been some of the positive response or effects of these workshops? Our workshops take a wide variety of forms, depending on the styles of our facilitators and the needs of our partner organizations. In 2016, VSEAL partnered with Hands on Media Education to lead workshops on digital literacy at Perspectives II, an outreach high school. Participants aged 13-18 used poems to create stop-animation videos, which were then featured on our website. In 2017, Kama La Mackerel led a series of workshops titled Our Bodies, Our Stories for QTBIPOC (Queer & Trans, Black, Indigenous, People of Colour) aged 16-24. These workshops, facilitated at Project 10, offered participants the opportunity to develop their creative writing skills and cultivate their poetics through performance. Last year we also began a new partnership with SistersInMotion, co-presenting creative writing workshops for women and femmes of colour such as Kai Cheng Thom’s “When Trauma Speaks The Bones”. We receive a lot of inspiring feedback from our workshop participants that affirms the work our outreach facilitators are doing – one participant at a Chez Doris workshop told us that the workshop made her feel “hopeful about the future” and that she was grateful for the space to share with others. That’s one of our primary goals: to provide workshops that inspire confidence on a personal, individual level while also bringing participants together, forming creative communities. What are your reflections on the English-speaking literary communities you see around Quebec? Do you have partnerships outside of Montreal or elsewhere in the province? We are members of QWF and are involved with the Atwater Poetry Project, two organizations that support English-language poetry in Quebec. We are also in contact with English bookstores and hosts of poetry readings. However, we would like to expand our borders to include a more multi-lingual emphasis, especially with French-language poets and writers. We have already featured the visual art of French artists in Vallum, and published chapbooks and poetry by Nicole Brossard and Paul-Georges Leroux. We are excited about these kind of exchange possibilities. We appreciate the work of ELAN, which is a great, inclusive organization. We also have an informal partnership with Concordia for our internship program, which has been a great way to connect with young writers and those interested in small press publishing. What are some of the public spaces that you would recommend for literary or interdisciplinary events? Montreal has so many good bookstores, cafes, and venues that support literary events. We’ve had great experiences at bookshops like Drawn & Quarterly and Argo Bookstore – Argo recently opened up a back section as well for events! We’ve had successful pop-up shops at le Cagibi and Anti Café (and the now shuttered Chez Boris). Some of our other favourite spots include Kafein, which hosts a regular poetry open mic night, and Resonance, formerly home to the Resonance reading series. The Atwater Library also has a constant slate of excellent literary events. In terms of interdisciplinary events, Suoni per il Popolo does a great job of booking a range of exciting music, art, and literary projects at their various venues. Festival dans ta tête is a great Francophone festival that connects with the English literary community, and Poetry in Voice also hosts poetry recitation contests with a commitment to bilingualism. What is Vallum currently working on? We’re currently in production for our next issue, 16:1 “Connections,” which will come out towards the end of April. We’re also working on the layout for our upcoming chapbook release, Art of Surgery by A.F. Moritz. We have two upcoming launches in Montreal and Toronto for the issue and the chapbook. The Montreal launch will be at 7pm on Saturday, May 4th at Rocket Science Room (170 Jean Talon Ouest #204, Montreal, QC). 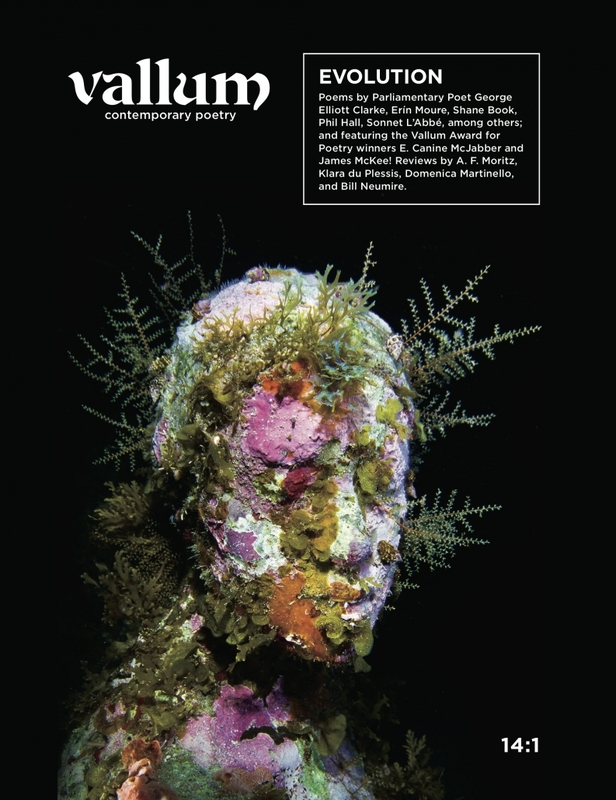 We are currently accepting submissions to our annual Chapbook Award, with a deadline April 30th, as well as submissions for the next Vallum issue, 16:2 “Fear,” deadline May 15th, 2019. We’re also working on developing new outreach partnerships, as well as reworking our website and submissions system, to be launched later this year.